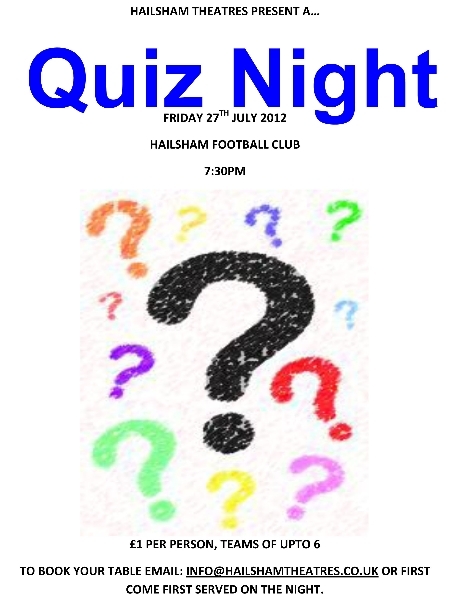 We are holding our annual quiz night this year on the 27th July at 7.30pm. This is at the Hailsham Town football club. Teams of 6 or less. This was a very popular event last year, and we hope to have the same success this year. If you would like to book a table, then please email info@hailshamtheatres.co.uk. Please help us promote this event and download our printable poster. Quiz 2012 Poster.